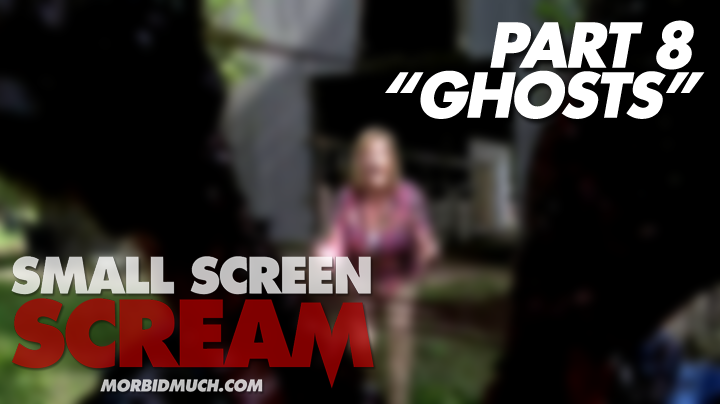 Last week's SCREAM left us wanting more and this week's does not disappoint. 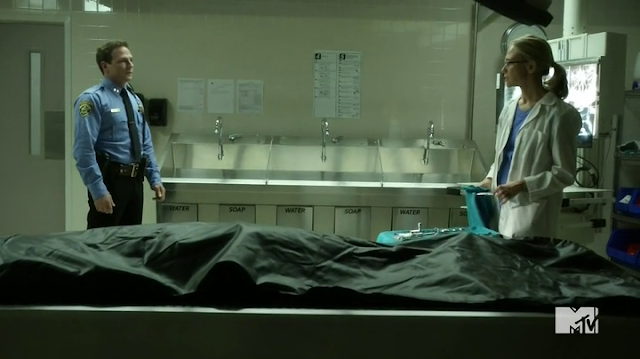 No murders this time around, but plenty of murderous drama as the suspect pool is seemingly narrowed down. 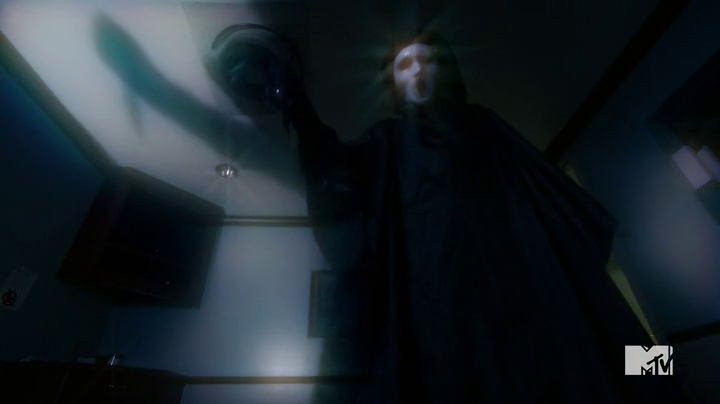 SCREAM -- S01E08 -- "Ghosts"
Like always, the episode kicks off with a brief summary of last week -- and in this case, we get relive Will's departure from a couple different POVs. Later, Emma is prescribed anti-depressants. 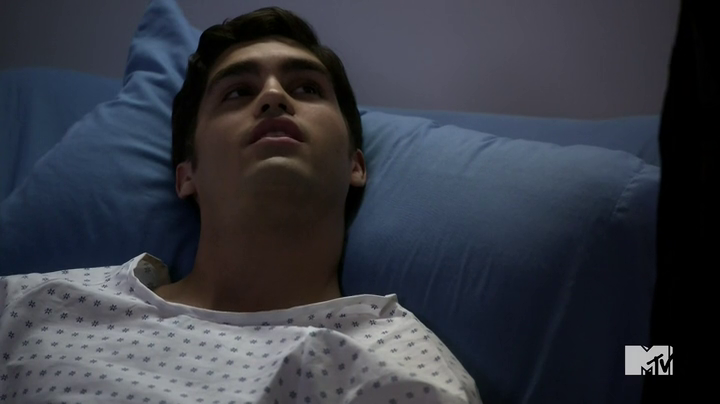 In the hospital, Noah approaches and unconscious Jake and admits that it was he who spray painted his truck. But just as he confesses, Jake comes to. 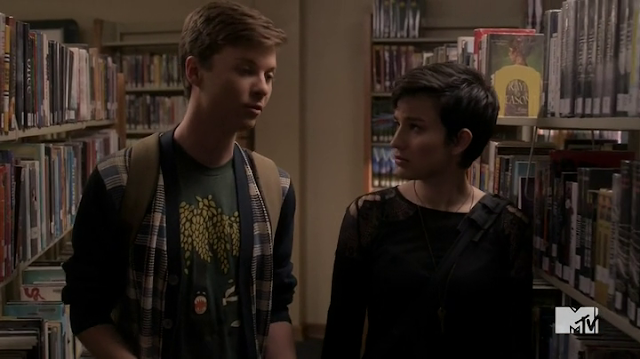 Jake calls Noah a nerd and then asks if Emma and Will made up. Noah doesn't quite know how to answer, but Brooke walks in and whispers in Jake's ear, telling him what happened. He's clearly a little heartbroken after hearing about Will (they were best friends, after all). 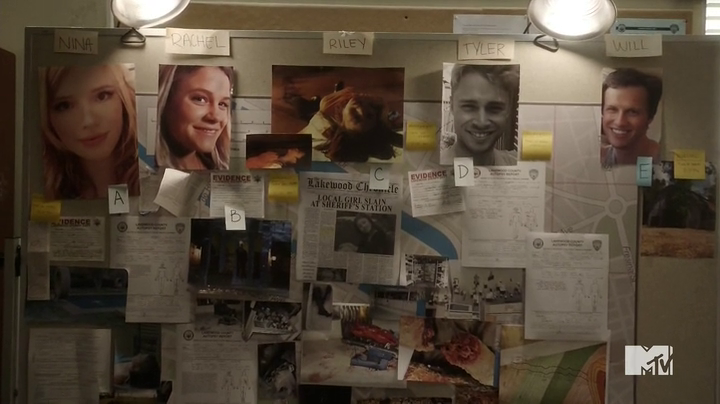 Brooke also mentions to Noah how lucky Jake was that the knife missed every organ (hello, Derek!). 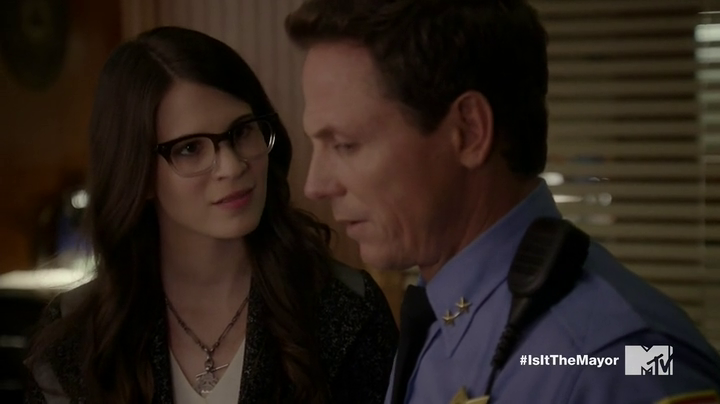 Later, at the police station, Hudson is staring at the wall of victims when Piper walks in. She gives him the tape of the mayor dragging the dead body. At school, Audrey and Noah immediately notice that Emma isn't right. Also, it doesn't help that she's constantly reminded of Will either. 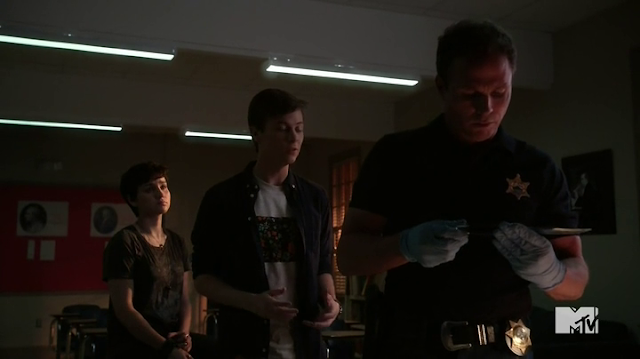 In Branson's class, Noah and Audrey continue their discussion on whether or not Mr. B is the killer. 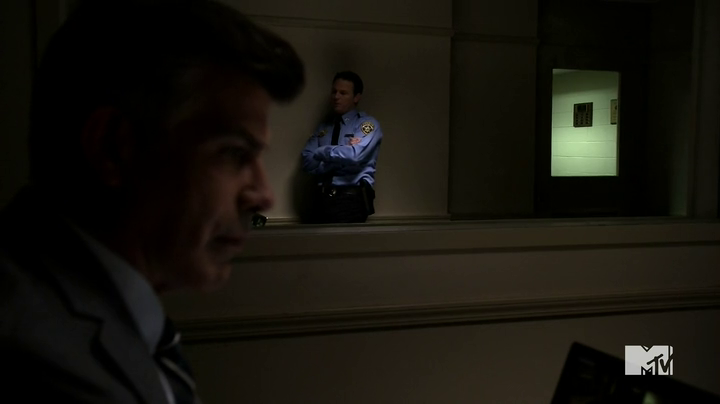 Meanwhile, back at the police station, the mayor is being questioned about the video and the whereabouts of his wife. He still insists that his wife in a rehab center in Arizona. Hudson gives Brooke the number to the rehab center and she calls and confirms that her mother is there. Emma begins to hallucinate -- seeing images of Will -- seemingly haunting her. Hudson tells Maggie that he was able to track down Emma's father and says he's been missing for three weeks, right around the time the heart arrived on her doorstep. Back at school, Audrey and Noah have an interesting discussion about the 1999 teen horror movie THE FACULTY, where Noah attempts to draw parallels between that movie and what's going on with Mr. Branson. Needless to say, this scene brought a smile to my face because I LOVE THE FACULTY! The two spot Emma sitting off by herself in the library, researching insomnia and paranoid delusions. They ask her about it but she denies it, and then they straight confront her over it. She explains that she just keeps replaying what happened and seeing everything. 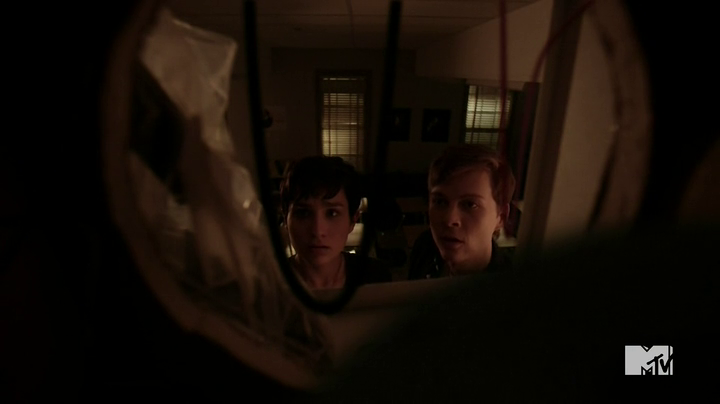 Noah tries to explain to her that her brain just needs time to adjust to the shock. "You seriously need an 'off' switch," Audrey tells Noah after Emma storms off. As Emma runs off, she runs right into another delusion. 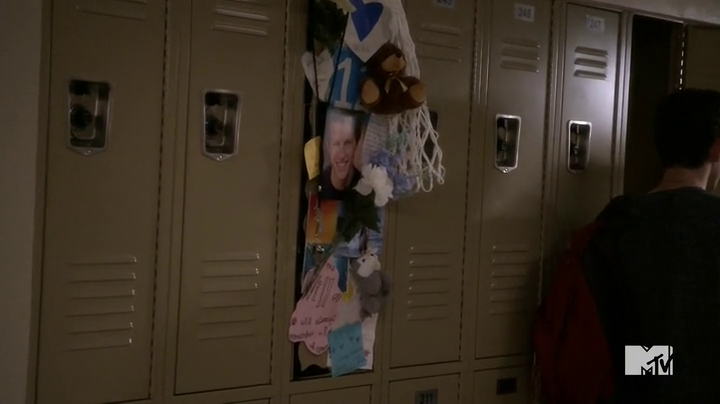 This time it's Will in the hallway, holding out a bleeding heart for her. She tears off and rounds the corner and runs into Kieran, back to reality. The scene is very reminiscent of when Sidney ran around the corner in school and ran into Billy in the movie. 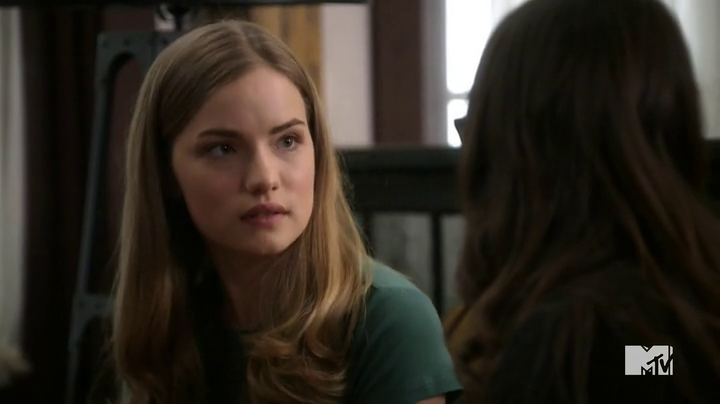 Later, at work, Emma talks to Piper about how she finds it hard to believe that it was the mayor chasing them around the bowling alley. Besides, it's way too personal with Emma. Hudson tells Maggie that there's been a hit on Emma's father's credit card in a nearby town. Maggie assures Hudson that he wouldn't hurt Emma like that. Later at work, Emma starts to have delusions again. So, this lands Emma an overnight stay in the hospital for observations. 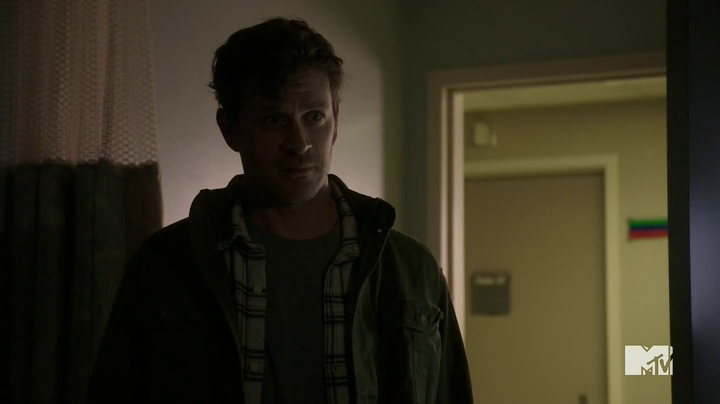 After everyone leaves, Emma gets an unexpected visitor...her dad. However, she tells him off and he leaves. Brooke's father explains to her that her mother started using again and the body that he is seen moving was one of her friends that OD'd. Seems logical. Emma stumbles upon the revelation that her mother and Brandon James had a baby together. And by the way, the music they use for these "flashbacks" is so goddamn haunting, I love it! 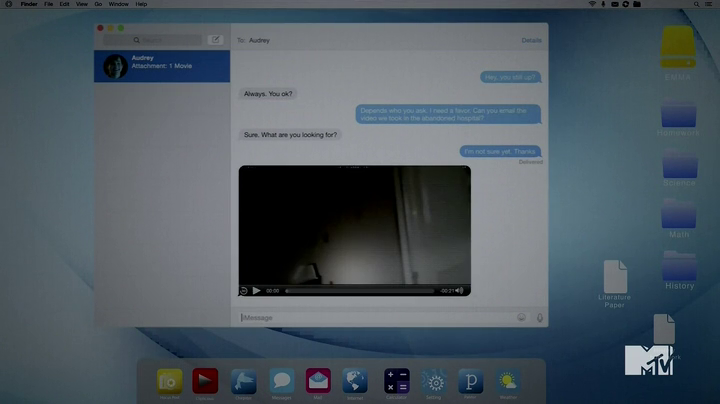 Emma has Audrey send her the video footage that she shot while they were exploring the abandoned hospital. She isn't sure what she's looking for...yet. 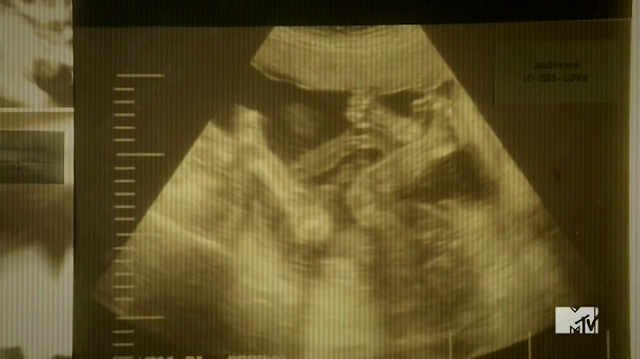 In the footage, Emma discovers the ultrasound of Maggie and Brandon's child, with the name "Anderson" on it. Later, Audrey and Noah search Branson's classroom and find one of the murder knives shoved in an air duct. 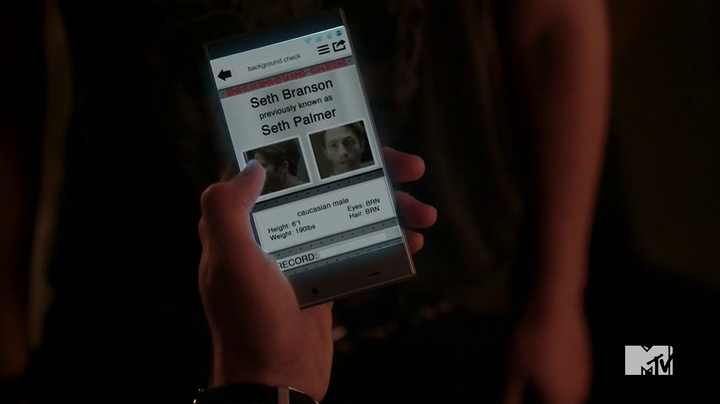 Simultaneously, Noah gets an alert on his phone -- they got a hit on Branson's fingerprints. He used to be Seth Palmer. They call in the sheriff and explain to him everything they know and have found out. Apparently, Mr. B was having an affair with a student from a former school and she turned up dead. Branson fled and changed his name. Meanwhile, in the auditorium, Brooke and Mr. B are hooking up. Back at the hospital, Maggie comes clean to Emma about everything -- everything. In the auditorium, Mr. B hears and a noise and goes to investigate. Brooke gets up as the curtain parts and a spotlight is shined down on her. The killer shows up and attacks Brooke, slicing her arm. She gets away and runs into Branson, who claims he got locked out and had to go around to another entrance. The cops arrive and apprehend Branson. 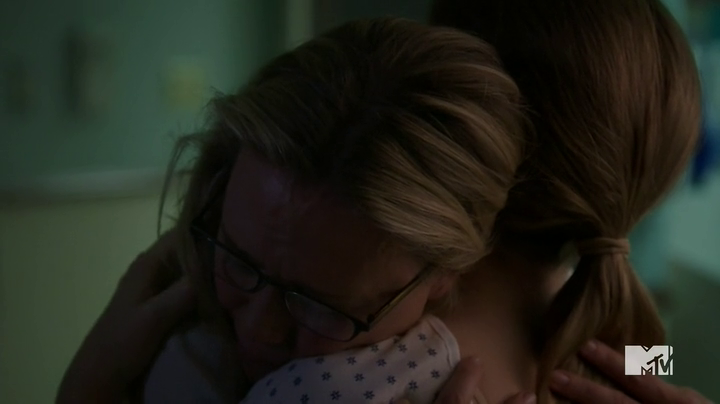 I tell you what, this was a helluva an episode and the show's only getting better. Two episodes left! Next episode: S01E09 -- "The Dance"